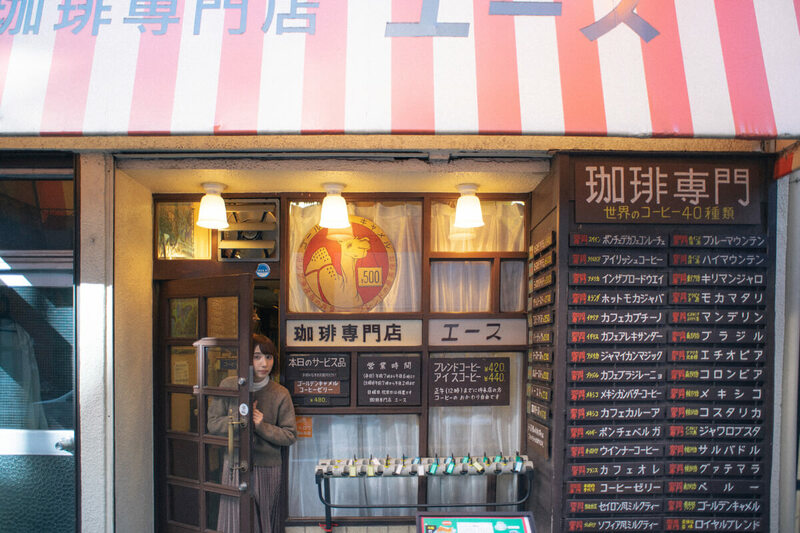 In this edition of The Café That You Want to Visit to See Someone, I visited Cafe Ace in Kanda. 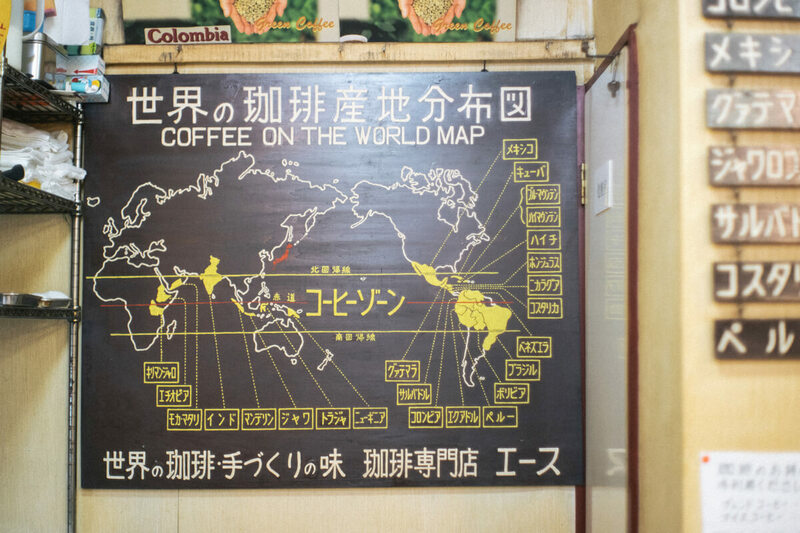 Being a cafe specialising in coffee it’s no surprise they have 40 different varieties of coffee! 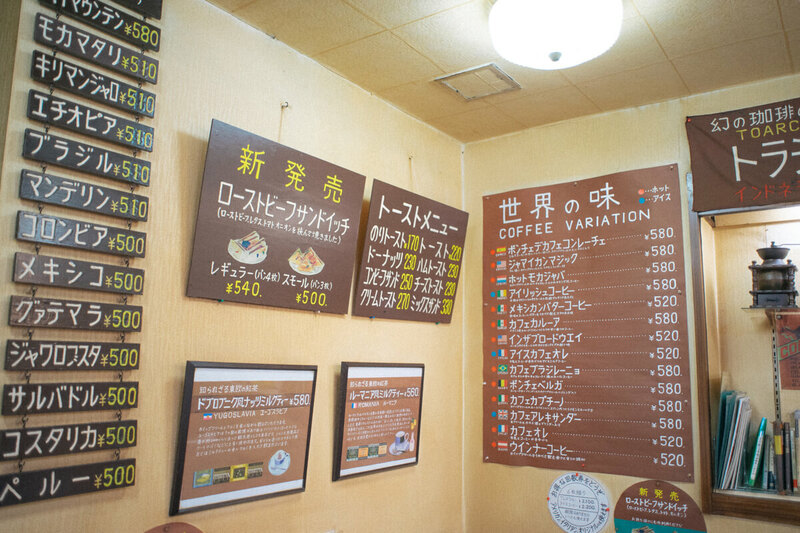 They even have 15 kinds of tea. Being able to pick out your favourite coffee before the morning rush every morning is really wonderful. Cafe Ace is one of the places I’ve wanted to cover for a long time in this series. I was excited to get inside! Its striped roof gives it quite a retro atmosphere. 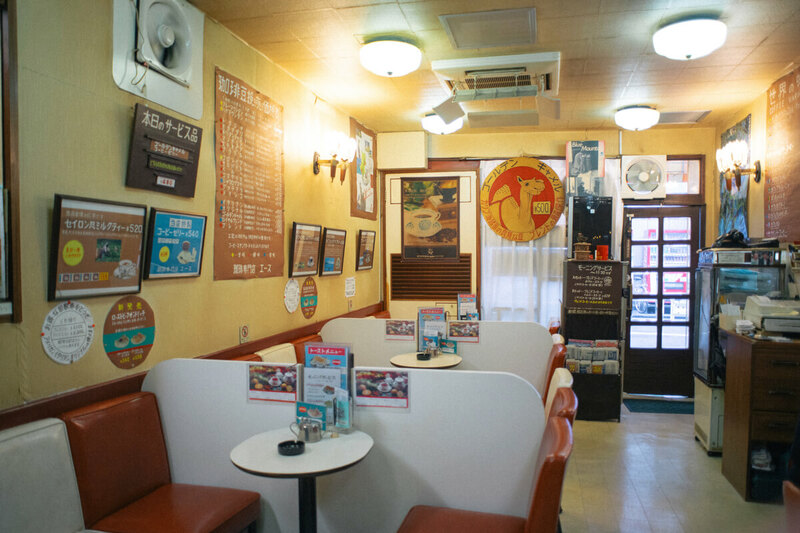 The warm colour scheme of the decor inside is that from old times – it’s very relaxed. It hasn’t changed since it opened way back when. It has continued to maintain its ways in spite of times changing. I think that’s wonderful. The cafe carries all kinds of magazines that have been published over the years. They range from 3 to 40 years old. The owner showed me his collection as we spoke about the cafe and conveyed his sentiment for Ace. I feel I have learnt much about its history! Simply amazing. 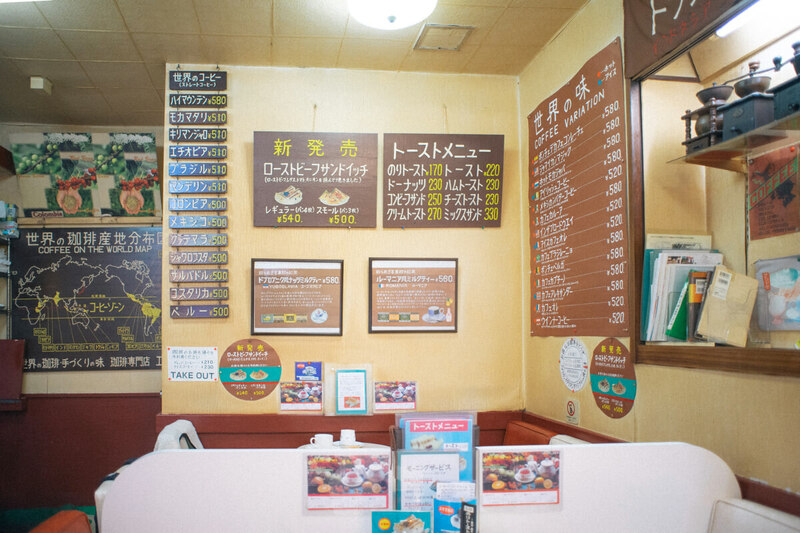 His handwritten work spreads across the entire wall of Ace. I have come here on my before but I had no idea he had written all of this out so in learning more about it I have come to love Cafe Ace even more. His love and warmth can be felt throughout the whole room. 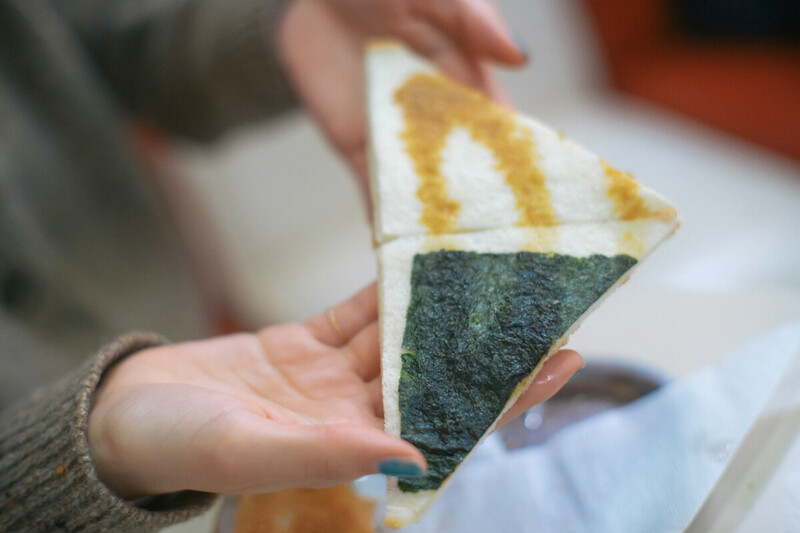 And this―this is Cafe Ace’s famous seaweed toast! It’s made with seaweed, butter and soy sauce. The ingredients are simple but the flavour of the seaweed complements the butter perfectly. It’s super delicious, I want to eat it everyday! And it only costs ¥170. 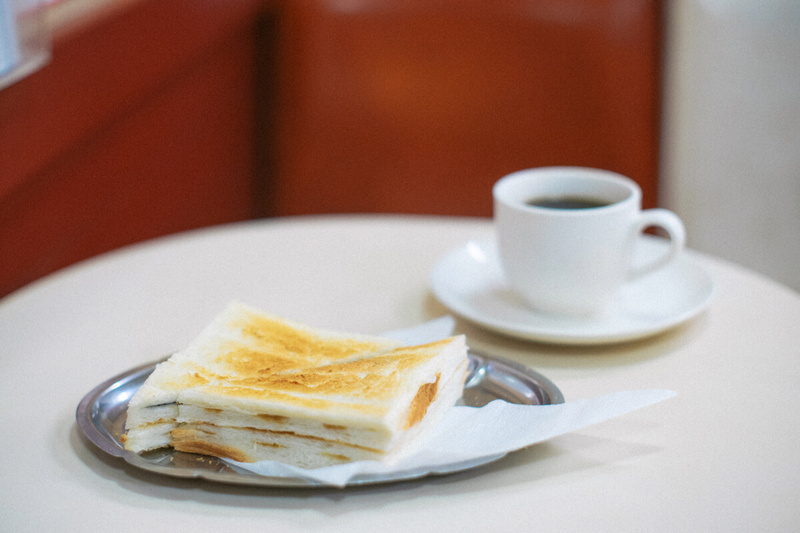 In the morning you can have it with blend coffee for ¥500 (+¥20 for iced coffee). You even get free refills on the blend coffee up until noon! American doughnuts, too. You can enjoy these at the small price of ¥230. They are sprinkled with cinnamon sugar and serve with a knob of butter in the ring. 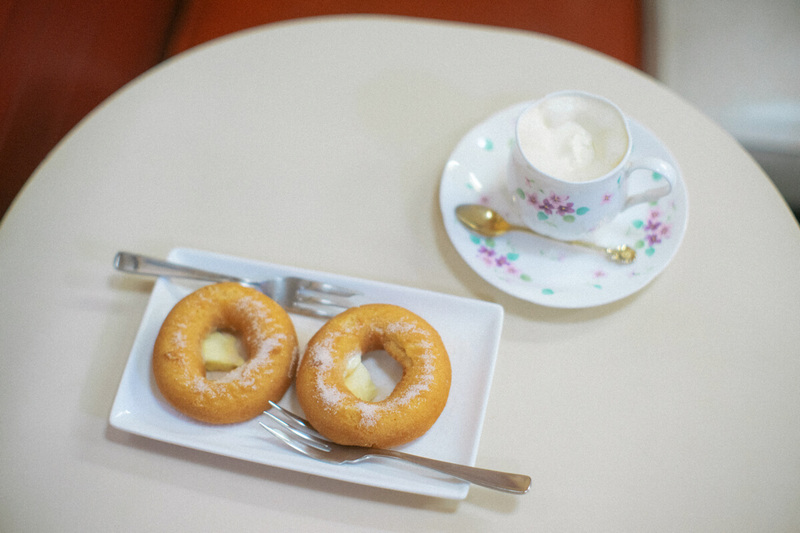 The heat of the doughnuts helps the butter to melt so you can lather it all over. Finally, a photo of the owner himself. 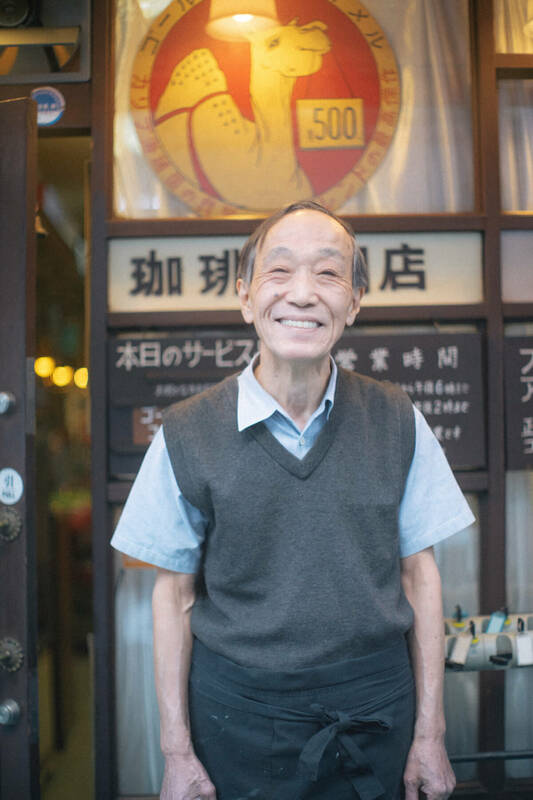 Even in the photo I feel like his smile gives his customers strength. Seeing his lively energy gave me energy too. He holds his valuable feelings close, doing what he loves in the place he loves. I want to keep on seeing his radiating smile.